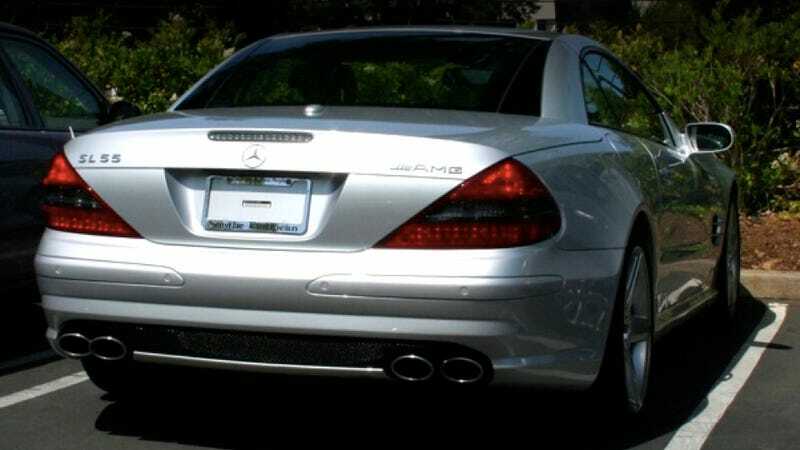 Many have speculated on why the late Steve Jobs never put a license plate on his cars. Was it because he preferred to pay whatever fines he incurred just so he could "Think Different"? Nope. He got away with it — legally — thanks to a California loophole. And so, Jobs — with help from a very accommodating leasing company — would trade his silver Mercedes SL55 AMG (or whatever car he had) for a similar one on the sixth month of his lease. Problem solved. No plate needed.